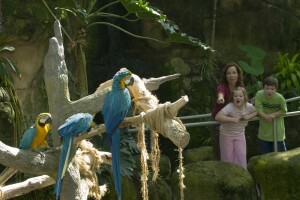 Moody Gardens is dedicated to educating the community on nature, animals, and conservation. 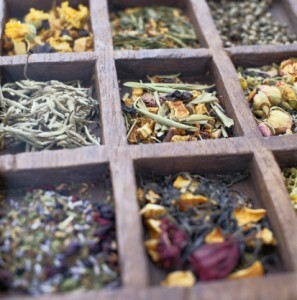 We love getting involved with our guests while also teaching them about the nature and beauty that surrounds us. On our Calendar of Events, some of the exciting things we have coming up are Birding 101 and Birding 201. Birding 101 is presented by Moody Gardens and the Galveston Island Nature Tourism Council. Birding 101 is a class created to educate participants about the variety of bird life that can be seen on Galveston Island. 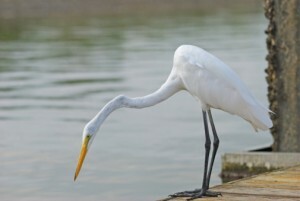 The island is home to hundreds of species of birds such as egrets, herons, hawks, seagulls, and many more. The class is free and held on the second Saturday of each month. We want to be able to excite our people about the bird species we share the area with. Class meets in the Aquarium Pyramid lobby and is from 9-11 a.m.
Birding 201 gives participants a more in depth look at the bird life on the island. The instructor-led classes allow participants to visit certain areas of the island where they can spy some of the tremendous variety of birds. Instead of just teaching participants about the birds, Birding 201 actually takes you out to find them! 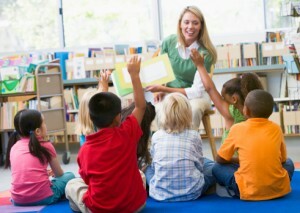 Classes are held on the third Saturday of each month from 9-11a .m. The class is $5 and participants meet in the Aquarium Pyramid lobby. Moody Gardens will provide transportation. Due to high demand, we ask that you reserve you spot no later than the Wednesday prior to the class by calling 409-683-4101. Make Moody Gardens the destination for your next family weekend getaways in Texas, and learn more about Galveston’s bird life while you’re here! If you’re on the hunt for one of the best places to stay in Galveston, make your reservations at the Moody Gardens Hotel. 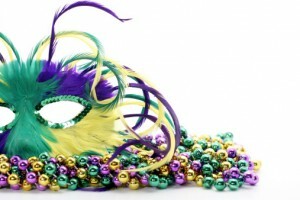 Each year Moody Gardens loves to throw a Mardi Gras ball! However, our ball is a little different from the popular Mardi Gras celebrations around the world. The Moody Gardens Special People’s Ball is a unique celebration for people with special needs, their caregivers, and their immediate family. The Moody Gardens Mardi Gras ball provides the opportunity for people with disabilities to be a part of the Mardi Gras celebrations in a safe and exciting environment. For this year’s ball, Moody Gardens will be having the hit cover band Space Monkey entertaining the crowd! Space Monkey offers a wide range of music so there is something for everyone to enjoy. This year we will also have Gazer the Star and Cosmo the Moon from the Space Center Houston joining the festivities. The Caring Clowns from the University of Texas Medical Branch will be at the ball making balloon hats and animals, and Ronald McDonald will make an appearance! Admission is free for attendees with special needs, their immediate family, and caregivers. However, reservations are required and can be made here. If you are looking into attending with a group home, please note that attendees will need to wear an ID with their name and organization. We are also looking for wonderful and caring people to help us out with this great event! For more information on volunteering for the Mardi Gras Ball for Special People, contact us at 469-683-4108 or volunteers@moodygardens.com. If you are joining us for the ball from out of town, be sure to check out the Moody Gardens Hotel for one of the best places to stay in Galveston. Don’t forget to explore the Aquarium Pyramid and Rainforest Pyramid while you’re visiting! 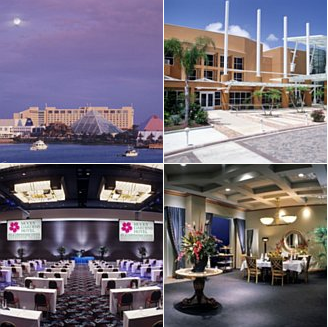 The Moody Gardens Convention Center provides the perfect destination for either business or pleasure. 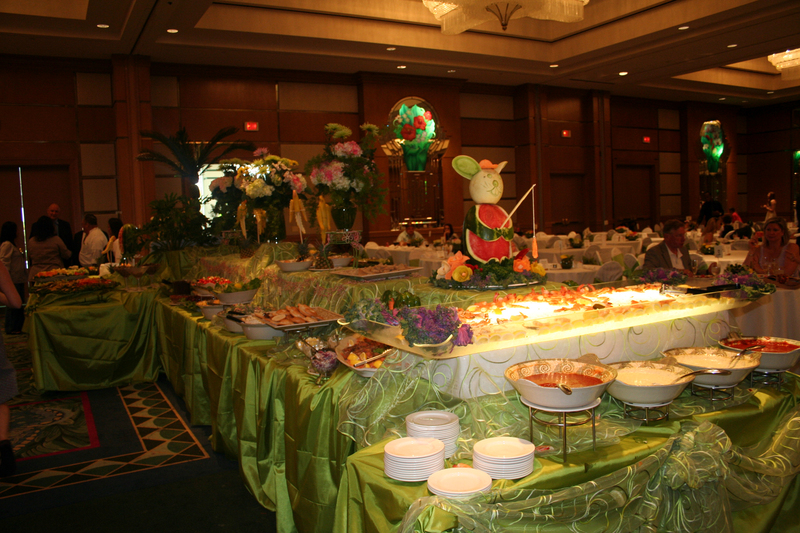 The location rests on over 200 acres of tropical gardens, making any event you hold here a memorable experience! Not only do we provide ample amounts of meeting and event space, but a four-diamond resort to accommodate your guests as well. 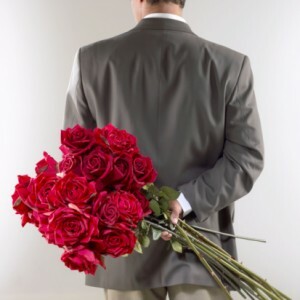 No matter what kind of event you plan on putting together, the Moody Gardens Convention Center has you covered. With over 100,000 square feet of combined meeting spaces, and a 60,000 square foot barrier-free ballroom-quality exposition center with over 5,000 available seats, you will have plenty of space to create the perfect event. Our meeting spaces can accommodate from the grandest of galas to intimate events. The exposition center has floor boxes every thirty feet complete with water, power, air, and data drains. It also houses state-of-the-art lighting and sound equipment so your guests will not be disappointed with your event. 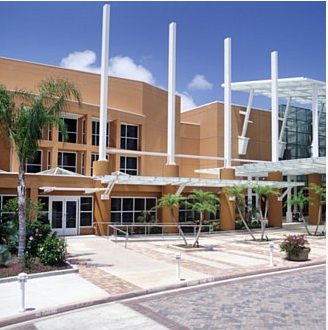 The Moody Gardens Convention Center has two onsite business centers, making your event more efficient and convenient for company events. With a covered parking garage that can hold up to 1,000 cars, your guest will have easy access to the facilities they need. Our full-service resort features 428 luxurious rooms and suites, so when the attendees are ready to rest their heads, their accommodations will not be lacking in comfort and service. Moody Gardens Convention Center has built a reputation for being a premiere destination for recreation, meetings, and events. No matter what reason you need to use our space, our world-class property and professional staff is here to provide you with the best hospitality and client service in the business. When you aren’t joining us at Moody Gardens for business purposes, come see us for your next family weekend getaway in Galveston! The Moody Gardens Hotel is one of the best places to stay in Galveston! Moody Gardens is the perfect place for your upcoming special event because we make the planning convenient and easy! We are here every step of the way to make sure your plans run smoothly and your guests have a memorable experience for all the right reasons. Planning an event with Moody Gardens is easy because of our professional staff, hospitality, and available and versatile space. Professional Staff: Our staff knows the ins and outs of Moody Gardens and has all the answers to your questions about planning an event with us. You will encounter nothing but complete professionalism when working with everyone from the catering department to the Convention Center Director. Our hospitality and client services have earned us a reputation as the premiere meeting, event, and recreational destination. Our staff will attend to your every need, all under one roof. Services: For weddings, our professional staff can handle details such as floral design, entertainment options, and food and beverages! For large events we have state-of-the-art lighting and sound equipment, seating for over 5,000, and a large, covered parking garage. Available and Versatile Space: We have over 100,000 square feet of available space for your special event. Not only is there tons of space, the space is so versatile you won’t have any problem finding the exact area to fit your needs. You can have a ballroom style expo center, or a more intimate setting for smaller get-togethers. For business events, we offer a fully equipped business center available 24 hours a day. Our staff will handle all the details of creating the perfect space for your special event, whether it’s an intimate dinner, social gathering, or a convention for a few thousand people. Start planning your event online! Get started here. While you’re here for your special event, stay at the Moody Gardens Hotel and check out our popular attractions, such as the Aquarium Pyramid and Rainforest Pyramid. Moody Gardens is the perfect place for an entire family vacation, or even just a daylong adventure. 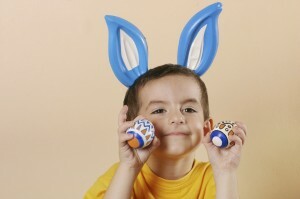 Here at Moody Gardens, every member of your family will find something fun and interesting to entertain them. The Moody Gardens Attractions, from the Aquarium Pyramid to the Colonel Paddlewheel Boat, provide enough fun for everyone in the family. Kids will love getting up close with the penguins in the Penguin Encounter! For the adventurous family members, don’t miss out on catching a movie and a ride at the Ridefilm Theater. The technology of the Ridefilm Theater literally makes you feel like you are a part of the action! Parents who are looking for a romantic evening on the water should book reservations for the dinner cruise on Colonel Paddlewheel Boat on the second Saturday of each month! Enjoy a delicious dinner and live entertainment while getting some time alone together. Please make your reservation by the Wednesday before the scheduled dinner cruise at 1-800-582-4673, ex. 4419. The whole family will enjoy one of the most authentic rainforest recreations at the Rainforest Pyramid. The walk-in butterfly exhibit is one of Moody Gardens most beloved features, and enjoyable for family members from one to one hundred. Not only are the Aquarium and Rainforest Pyramids entertaining, they also provide educational opportunities by teaching visitors about the nature that lives within the habitats. When the gang gets hungry, there are plenty of dining options here at Moody Gardens. Choose from The Gardens Restaurant, or in the Moody Gardens Hotel there is The Terrace Restaurant, Shearn’s Restaurant, Lobby Bar, Pool Bar, and Blossom. Don’t forget that your kids can eat free at The Terrace Restaurant when you’re staying at the Moody Gardens Hotel! When Mom and Dad are ready to unwind, don’t miss out on our special deals for the Moody Gardens Golf Course and the Spa at Moody Gardens! We look forward to seeing you and the whole family soon!